Start taking classes at 889 Community and other studios! Sculpt. Align. Sweat. 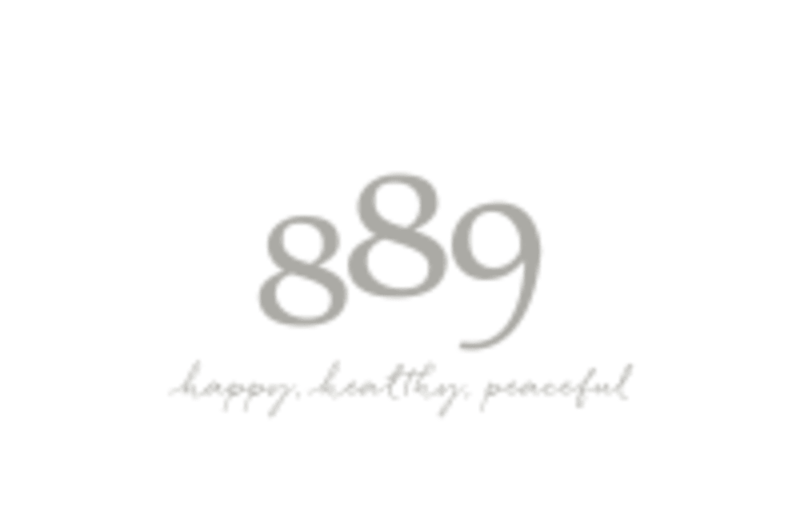 889 Barre is a fun and effective ballet barre-inspired workout that will create lasting results. Strengthen, lengthen and transform your body from head to toe. With the help of the ballet barre we will work to improve your balance, strength, flexibility, and alignment. The class sequence will combine muscle isolation with high repetitions of small and large ranges of movement, putting your physical and mental strength to the test. Other props will be incorporated to assist in challenging your agility, coordination, and mind-body connection.This class is the perfect compliment to your Yoga and Pilates practice. In just 45 minutes you will condition your core, fire up your metabolism and build your endurance. Leave 889 Barre with more body awareness, energy and confidence. It’s time to give your body that burn baby burn feeling it’s truly craving! Join us for Barre at 889. This practice is low to no impact, no experience is necessary. Barre socks are required. Available for purchase in the 889 Shop - in stores & online. www.889community.com/shop For classes with Derek Friday only, a mat is required. Rentals are available in studio. Great! Challenging and fun as usual. This class is a lot of legs though, every time. I would love some more core-focused exercises mixed in. Longer holds made for a harder workout! Kerry had such a great energy! Ill definitely be back! Kerry is such a positive, energetic instructor. I love that she offers multiple modifications for every exercise. Energetic friendly instructor but cueing was a little difficult to follow. Very challenging and fun! So tired! Good total body workout. April was easy to follow and gave good corrections. The studio would be a lot better if they had mirrors along the walls so you could check your form and see the instructor demonstrations without needing to stop and turn around. Pretty tough class, instructor was enthusiastic, wish there was more abdominal focus. This was my first barre class ever, so take my review with a grain of salt, but I really did not enjoy this class. I felt as though the mentality was, "keep up or get out" and speed of movement seemed to be valued over good form and good body mechanics. One of the students remarked, "my knee is hurts" mid way through an exercise and the teacher didn't offer her any modifications or guidance to keep her body safe. Would not take class with this teacher again. Not a particularly strenuous barre class but its good for a quick Sunday workout. Leslie's classes are challenging and fun. I love that it's different from all of the others. Maybe I am getting better but I found class less challenging today than usual. Great studio. Great workout. Great energy from Kerry! The class was challenging with great instruction. Loved it!!! studio is really cute and i was looking forward to the class - was told i could rent barre socks since i forgot mine at home but then the front desk staff told me i could only purchase. disappointed that bare feet was not an option since it is at so many other studios. i had to leave. Challenging class with an enthusiastic instructor. This class was definitely hard! It used all of the challenging barre moves with tons of reps and holding positions for a long time. It's the only barre class in my neighbourhood so I will likely be back.